Tues. #2 is HERE. To help the website out please subscribe to Mistah MegaManFan so we can reach 1,000 (current count: 822). If you're a gamer you'll enjoy the content! Don't miss Glove Up or Shut Up at 8 PM ET! With the cheap plugs out of the way here's Wednesday's latest news. 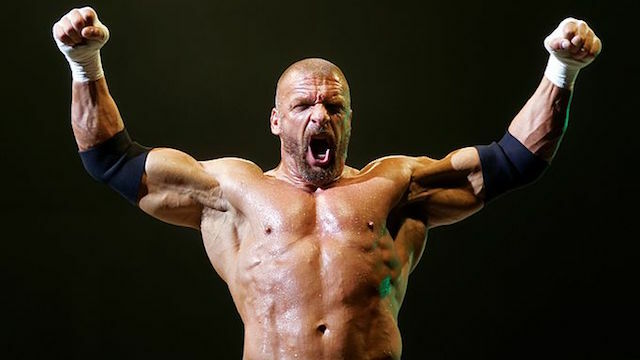 In this interview Paul "Triple H" Levesque promises to open WWE Performance Centers around the globe: "I can tell you there will be a performance center in India. There will be a performance center in the Middle East. There will, more than likely, be a performance center in Latin America. We will be replicating this process around the globe, all over. I see that, as you said, the product is very big (in the Middle East), very successful there, there's a lot of people that have a very strong interest in it. If we go in the Middle East and we start to recruit there and we see that all of a sudden there's this massive interest, there's massive depth of people that we feel have the ability to succeed, then we would go there first, or quicker." New WWE related videos including (but not limited to) last night's SmackDown and 205 Live highlights are available below. In this interview Shane Helms talks about AEW: "AEW is gonna be good for the business. Competition is good, there's an excitement in the air, those guys are some of my good friends, with Chris Jericho being a very close friend of mine. I'm excited to see what they do. We need that again, when the business was on fire with that Monday Night Wars. There's a lot of people that thought that would never be duplicated, and it still might not this time, it's still too early to say. But, if we can generate that excitement again - there's a lot of crazy vibes in the air right now it seems to me." ... as well as the tweet that follows, Jimmy Havoc has signed with All Elite Wrestling. Speaking of social media, Becky Lynch taunted Stephanie McMahon after SmackDown Live went off the air.